Financial mistakes involving IRAs and Social Security are common and costly. There are thousands of ways to take Social Security and hundreds of rules concerning IRAs. Anthony Saccaro’s tips for how to avoid expensive mistakes during this week’s show. We are in the midst of the second longest bull market our country has ever seen, with stocks up 17% since President Trump got elected. But we have also accumulated more national debt as in the last 10 years than in our entire previous history. There’s going to be a time to pay, and it’s coming soon. Find out how to protect yourself in this week’s show. Should I pay off my home? When should I take Social Security? Should I get out of debt before opening a savings account? 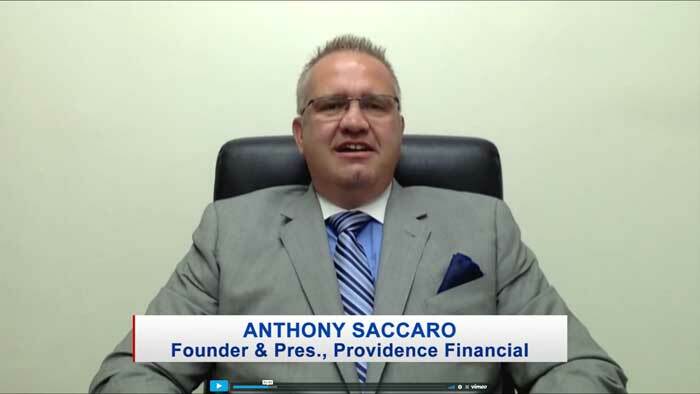 Financial Q&A with Anthony Saccaro during this week’s show. Did you know you can put almost any investment into an IRA? An IRA is not an investment in itself – it’s just an “umbrella” which will determine how the investment will be treated from a tax standpoint.